Quick update just to let you know that I´ve been a bit absent because I am moving to my new flat!!!! I have spent the last week, buying, building, decorating, packing, unpacking and what not! I am SO TIRED but excited at the same time!!!!! I cant wait to show you guys the end result and I am almost sure you will love what I m doing with the place! PARA LA TRADUCCIÓN EN ESPAÑOL VIVITA MI BLOG CON ELLE.es AQUI! I so need that white blazer! Can't wait to see the new flat! girl , you look AWESOME and so CHIC :)i love your blog and your style !xoxo.bloo. I can't wait to see your flat! :) I miss your outfits Andy! Your blog is amazing! 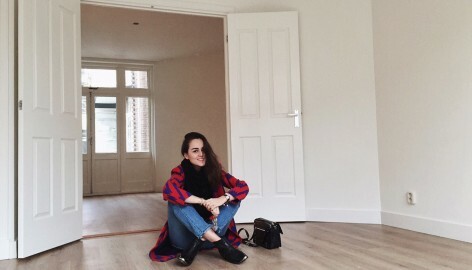 I totally love your style, great outfits =)Have fun in your new appartment! Congrats with your new flat!Great outfit! this is a great idea, very chic girl! Hele mooie outfit en je blog is echt geweldig!! can't wait to see your new place.i'm sure you're also a great decorater. oh que bien, me alegro un monton que ya estes en tu nuevo piso.esperamos que nos enseñes pronto que tal te ha qdado.estas wapisima!! Hope you get it done soon, can't wait to see it..Love the shoes you are wearing!x, fashion-nerdic. Great look, the whole outfit is so amazing! Hope you get settled in soon! Can't wait to see your new place. Cheerios! I loove those shoes? Are they from Zara? Anyone know? YAY!!! CAN'T WAIT TO SEE YOUR NEW FLAT!